Filmmakers and moviegoers alike celebrated inventive cinematography and artistry at Talenthouse HQ in Palo Alto while sipping Moreno BHLV’s award-winning California Sparkling Wines. 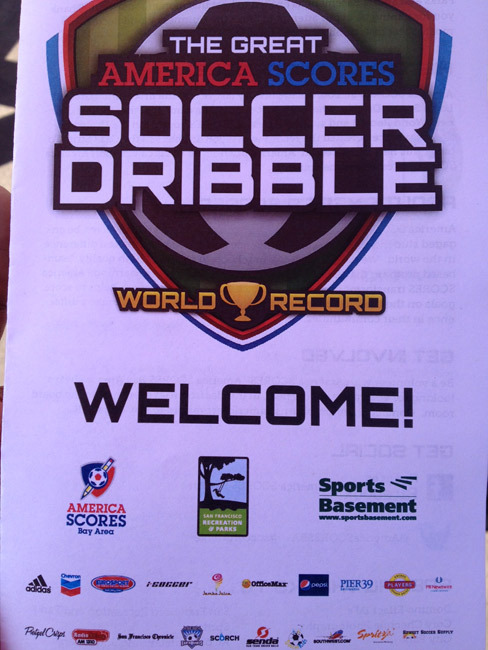 749 people in San Francisco dribbled soccer balls alongside 1,100 others from 5 America SCORES cities, setting set a new world record of the most number of soccer dribblers at one time. The previous record stood at 2.068, but is now held proudly at 2,149. America SCORES partners with urban schools to provide team-based programs that integrate sports, literature and civic engagement to help youth achieve their goals and unleash their full potential. One of the most celebrated community events in Palo Alto, the Palo Alto Recreation Foundation held this fundraiser at the Lucie Stern Center in support of community events for residents of all ages, from toddlers to senior citizens. The funds raised will go to projects such as Project Safety Net for suicidal teens, Senior Citizens New Year’s Eve, Project LOOK for education and reading, and summer camp scholarships. 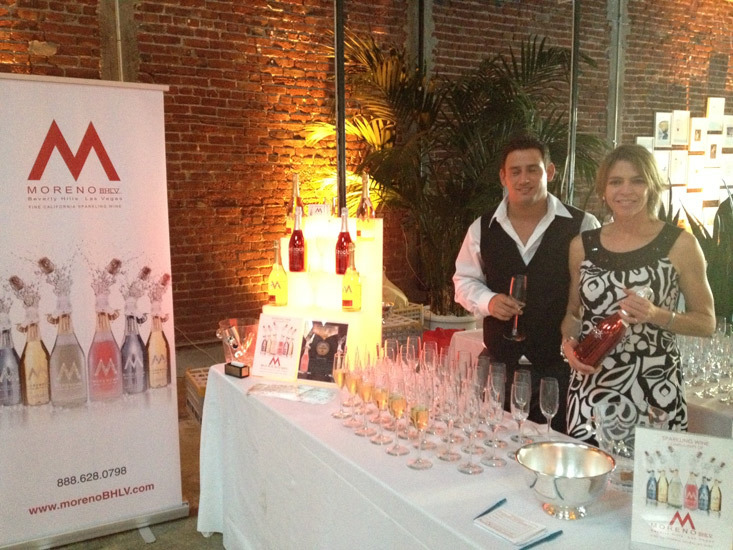 Moreno BHLV was a proud sponsor and exclusive sparkling wine at the event. Industry talent and supporters alike gathered for the premier festivities at Talenthouse HQ Palo Alto to celebrate the filmmakers from around the world, and bridge the gap between Hollywood and Silicon Valley. 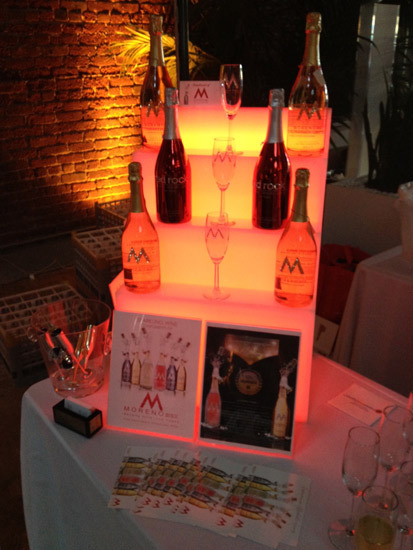 Moreno BHLV was a proud sponsor and exclusive sparkling wine at the event. The myriad of presentations included an inventive first-of-its-kind interactive collaborative gaming film, RENGA. It required spectators to participate and cooperate by shining laser pointers on the screen in order to make progress and accomplish a goal in the story line. RENGA was the 2012 Best New Platform Honoree, and made a lasting impression on children and adults alike. Athletes from all over Northern California who competed in past Olympics and Paralympics, including the most recent London games, were honored at the Fairmont Hotel in San Francisco. Spritz’s Beth Schnitzer served on the host committee and Spritz was able to involve several clients in donating items for the silent auction. 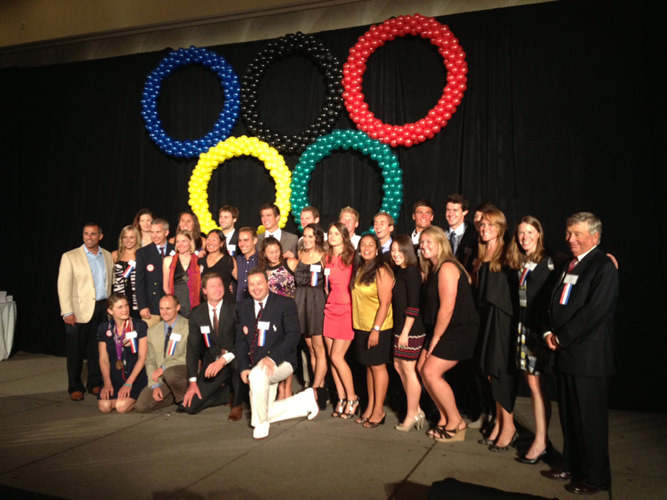 In attendance were over 30 Olympians, including the oldest living gold medalist, Alex Tarics, and many Cal Berkeley Grads. During the VIP reception, guests enjoyed sparkling wine from Moreno’s pouring station. Moreno was acknowledged in the program and stage announcements. Mayor Lee and British Consul General Priya both addressed the audience, while Raj Matthai from NBC emceed throughout the night.